The legendary duophonic synthesizer that transformed its age. It's a groove box, a synth, a sampler and production machine. That's red. Great priced guitar and bass tuner from Korg. You wanted the KingKORG in black - now it's here. A new generation of modeling synthesizer that covers all synth sounds. 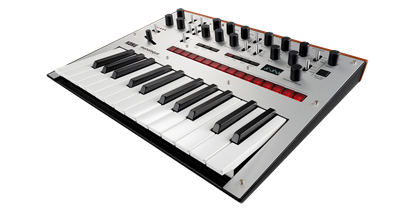 This is the 61 key model of the new Korg KRONOS. With nine distinct synthesis engines and a complete suite of performance and productions tools, KRONOS is a must-see synthesizer for the musician or producer who needs ultimate versatility. 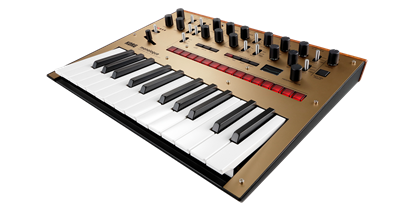 This is the 73 key model of the new Korg KRONOS. With nine distinct synthesis engines and a complete suite of performance and productions tools, KRONOS is a must-see synthesizer for the musician or producer who needs ultimate versatility. For the musician needing a compact music production system - the microKEY will fit right in. 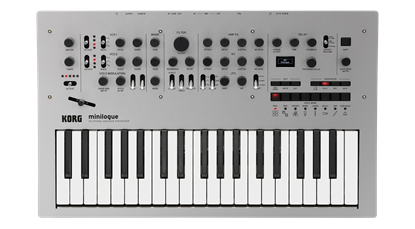 The Korg monologue is a fully programmable analogue synthesizer. The sound that never dies in a powerful new compact synth. 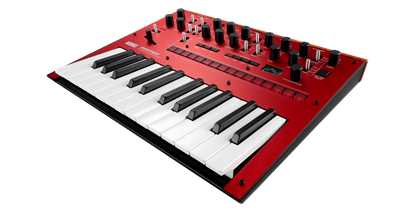 The classic MS-20 – recreated in mini size! An analogue synthesizer that reproduces the original circuitry from 1978. 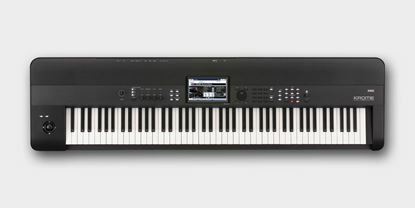 This is the 61 key version of the Korg Pa4X Professional Arranger Workstation Keyboard. The Korg Pa4x is designed to put the perfect performance within your fingertips, from song arrangement to superb instruments and even backing singers. Bring the house down with a Korg Pa4X. 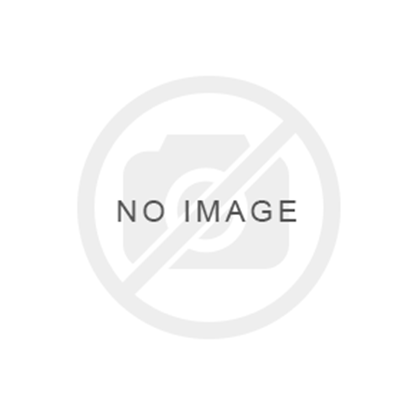 This is the 76 key version of the Korg Pa4X Professional Arranger Workstation Keyboard. The Korg Pa4x is designed to put the perfect performance within your fingertips, from song arrangement to superb instruments and even backing singers. Bring the house down with a Korg Pa4X. Besides being compact, inexpensive powerful and superb-sounding, the Korg Pa600 comes equipped with the most up-to-date collection of quality sounds and styles combined.